The top seeds in the 2018 SWAC Baseball Tournament, as expected, advanced to the winners bracket after the first day of play. The SWAC arguably the top HBCU baseball conference in the country opened its tournament yesterday at Wesley Barrow Stadium in New Orleans, Louisiana. Jackson State, Grambling State, Texas Southern and Alabama State turned back determined foes in opening day SWAC action. In the first game of the SWAC Tournament, Jackson State (33-16) won against University of Arkansas-Pine Bluff 13-3. Pine Bluff gave the SWAC regular season West Division Champions all they could handle early in the game. They led on the strength of a homer by Soriano. But on defense, Pine Bluff starter Peyton Burks could not find the strike zone. At one point he walked five in one inning. His relief, Antori Luster came on and walked two additional batters. Jackson State batters exercised good patience at the bat and took the walks. When the Pine Bluff pitching staff threw strikes, Jackson State feasted. In addition to J. Santana’s homer, JSU had three batters to drive in three runs: S. Vidal, R. Hernandez and Santana. Mark Watson picked up the win in relief. He came on in the fourth to snuff out a Pine Bluff rally. He pitched 3 1/3 innings giving up one hit and striking out five. The 6 foot 5 inch, Walton at times looked like Bob Gibson falling off the mound as he completed his pitches. He was almost as tough to hit as Gibson, giving up one hit and striking out five. In the second SWAC game, Grambling (24-24), toppled a determined Mississippi Valley State (11-34) team by a score of 14-5. Grambling was led by shortstop Marshwan Taylor. He went 3 for 5, scored three runs and drove in one run. The left handed hitting Taylor is rated as one of the top shortstops in the nation and is expected to advance to the professional level after the SWAC Tournament. Taylor came into the game batting.396, after a couple of at bats he dropped to .394, before raising his batting average to .399 at the end of the day, while picking up his 19th stolen bases. A. Escano pitched seven strong innings for JSU, picking up his second win of the season. He struck out six. In a display of all around baseball acumen, reigning SWAC Baseball Champions, Texas Southern knocked off Alcorn State 10-3. Alcorn took an early 3-1 lead into the fourth before Texas Southern rallied to go up 4-3 on a double by Jose Comacho. Also, Comacho sparkled in the field, making several acrobatic plays at third which were completed with strong throws across the field to keep the Alcorn Braves off the base paths. Texas Southern was aided by a 2-3 performance from Sanchez, who had two RBIs and scored two runs. In the nightcap, Alabama State (28-20), behind the pitching of Darius Wright (8-1) defeated Prairie View (13-19), 7-2. Wright was rusty from a three week layoff. He gave up five walks in the first two innings of the game before settling down, and striking out five in six innings. Vasquez came on in relief in the seventh to record his fourth save this year. He struck out five in his three innings of work. 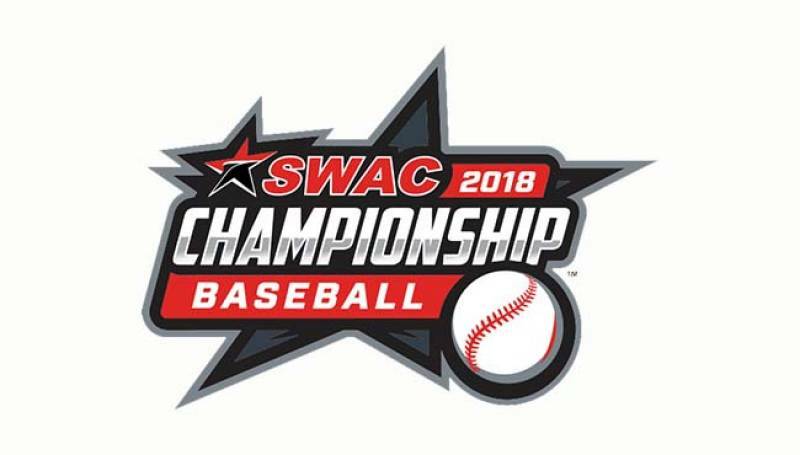 While Pine Bluff, Prairie View, Mississippi Valley and Alcorn compete in day two of the SWAC Baseball Tournament to see if they can fight their way out of the loser’s bracket, Jackson State, Grambling, Texas Southern and Alabama State will try to remain in the winners circle for one more day.